Ryan Hansen is back in action! YouTube just released a new trailer for season two of Ryan Hansen Solves Crimes on Television. From Rawson Marshall Thurber, the half-hour comedy “is about an LAPD task force that partners actors with homicide detectives so they can use their “actor skills” to help solve murders.” Guest stars include Samira Wiley, Joel McHale, Jon Cryer, and Kristen Bell. Season two of Ryan Hansen Solves Crimes on Television debuts on YouTube on January 30th. All eight episodes will be available to stream on YouTube Premium on January 30, 2019. The series stars Ryan Hansen and Wood Harris. Special guest stars include, but are not limited to: Jillian Bell, Rob Corddry, Jon Cryer, Rhys Darby, Donald Faison, Lucy Hale, Thomas Lennon, Jane Lynch, Ken Marino, Tim Matheson, Joel McHale, Tim Meadows, Stephen Merchant, Ben Schwartz, Dax Shepard, Jessica St. Clair and Samira Wiley. What do you think? Have you seen Ryan Hansen Solves Crimes on Television? Will you watch season two? 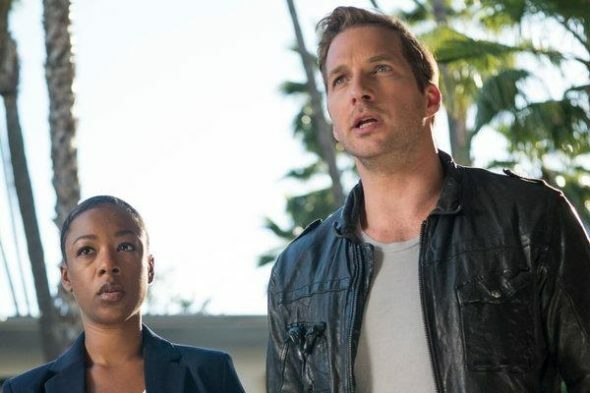 More about: Ryan Hansen Solves Crimes on Television, Ryan Hansen Solves Crimes On Television: canceled or renewed?, YouTube TV shows: canceled or renewed?